The photo id for this photograph is 124, in the People album. 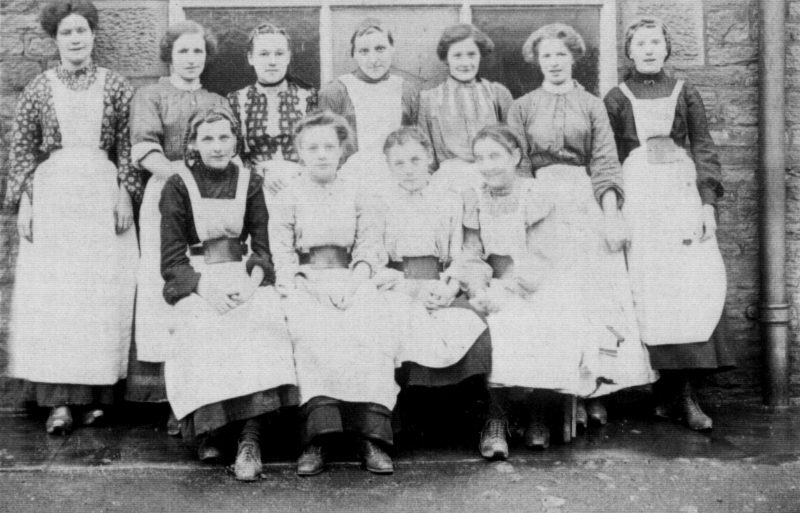 The lady in the middle of the back row is Lucy Jane Jones (nee Bradley) - when married she lived in Bridge Street, Whaley Bridge. Am unsure of the date of the photo though.